DokuWiki requires that your Geeklog site use UTF-8 encoding. If your site is not configured for UTF-8 encoding, do not install this plugin. Please read the included "ReadMe.md" for install and upgrade instructions to ensure you have the correct directories and files writable for the web server and that you have renamed the 2 .dist config files. 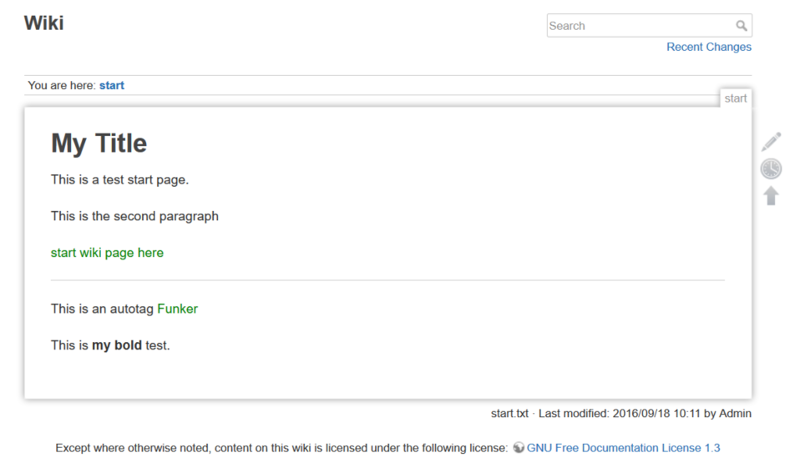 If you find any bugs please add them to the DokuWiki plugin issue tracker.